If you’re looking for something different and old school, you’ve found the right ad. What I have here is a custom Norton Café Racer, her slim-line featherbed frame and Roadholder forts are from a 1968 Mercury, the 750cc engine is from a 1965 Atlas and the gearbox is from a 1971 Commando. No she’s not a purebred, but she is all Norton. 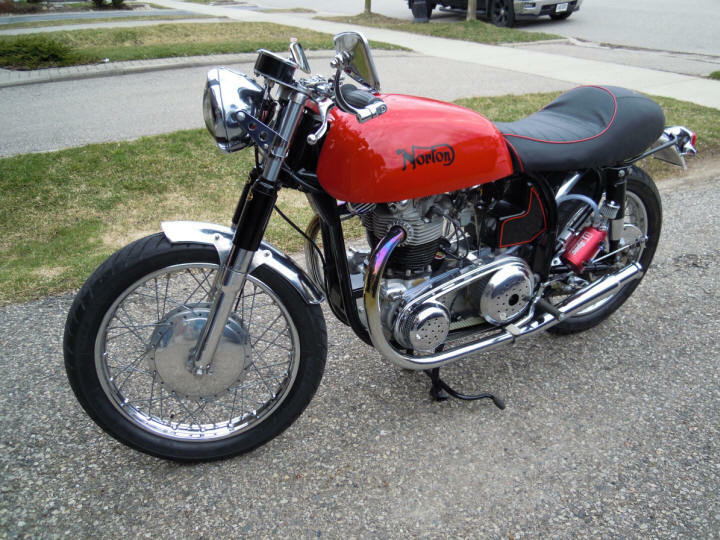 She’s apprised ($10,000 replacement) and insured as a 1968 Norton Mercury with a motor upgrade, but licensed as a 2007 Custom Build. With the build kept to an old school style and not too many new components add, she is still considered Vintage. This way she can and is insured as a Vintage bike, saving you lots of money (I pay $450 a year). This is not a bike for a beginners or someone who is not mechanically inclined, old bikes need TLC. I am offering this old girl at a lower price, because she has two things that need to be attended too to make her reliable again. 1/ The gearbox needs to be opened and checked why the bike will not role backwards when clutch lever is pulled in, when in gear (Notarial is fine). Bike shifts smoothly through all gears and pulls well when driven. 2/ The crank case breather is not working as it should, too much oil is being passed through it. The breather valve may have been installed incorrectly, when the motor was reassembled after the rebuild by the previous owner. Because of these two issues, I’ve taken $2,000 off the appraised value. I’m selling as is, but will provide the Sellers Package. You could never build a bike for the price I’m offering it for. 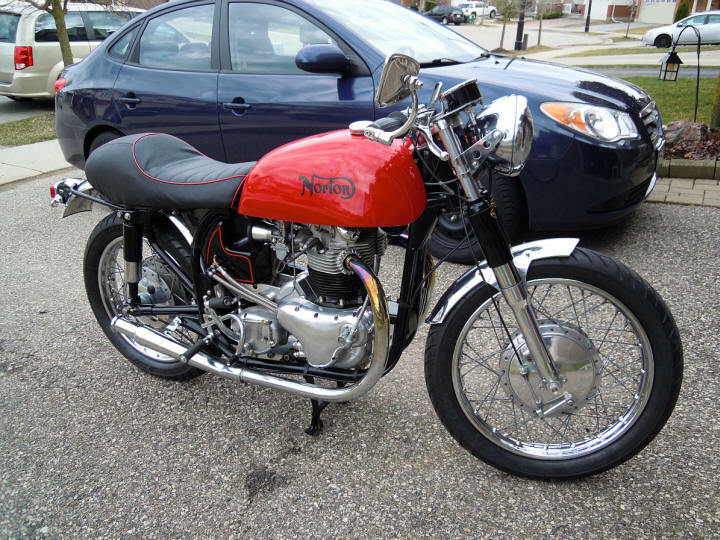 Plus you aren’t going to lose any money on this bike, it keeps go up in value (Café Style Norton’s are Collectable). If the bike doesn’t sell, I’ll fix the issues over the winter myself and she will not be on the market again for such a low price. 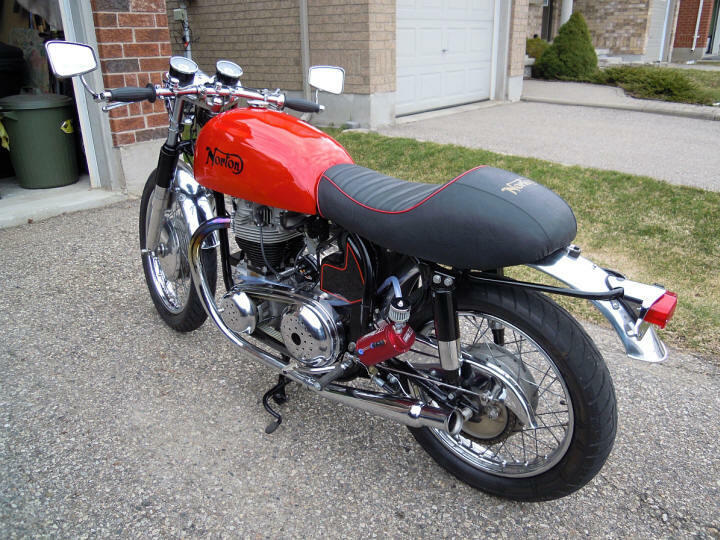 So this will be your only chance to get this beautiful and a one of a kind old school British Café Racer. P.S. Why I’m selling: I don’t have that much spare time and the time I have, I just want to ride. 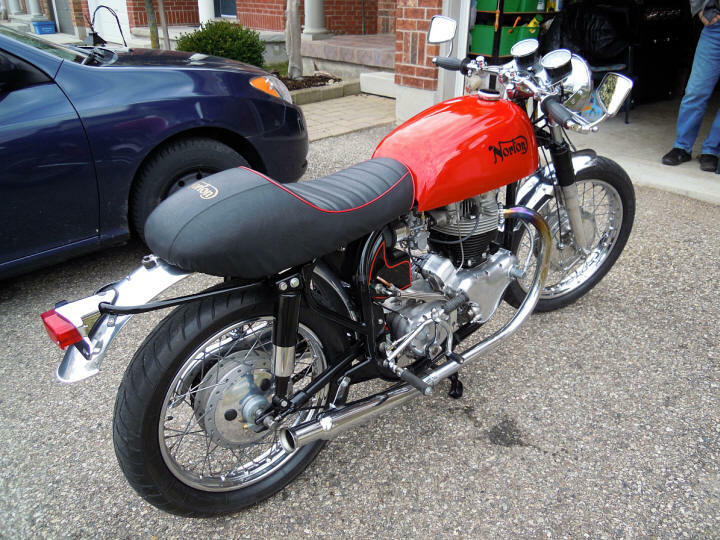 I’d keep the Norton as a 2nd bike, but again I don’t have the money to keep two bikes either. So that’s the story. Call or email and I will assure all your questions or make an appointment to see this beauty.